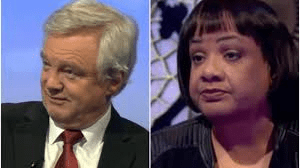 Where IS the Tory Party investigation into David Davis’s harassment of Diane Abbott? 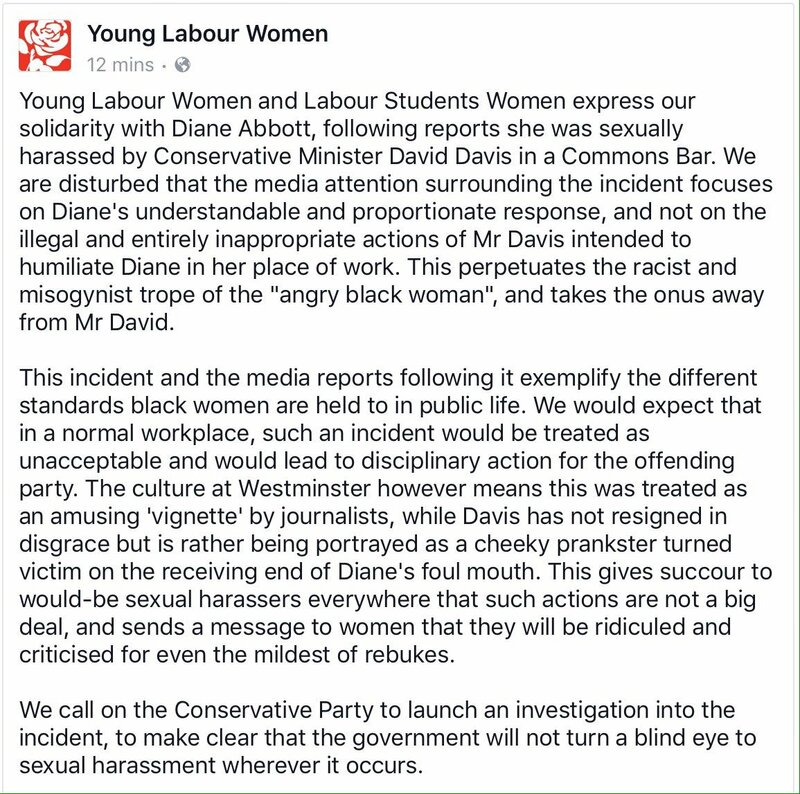 Young Labour Women and Labour Students Women have exactly the right attitude to the incident between David Davis and Diane Abbott in the Strangers’ Bar last week. It is despicable that the Conservatives and the mass media have tried to turn the harassment of a woman into a version of the misrepresenting and derogatory ‘Angry Black Woman’ meme (for an explanation of the term, see here). It is not acceptable that this incident should go unpunished just because the victim was Diane Abbott. It is time the relevant authorities stopped dragging their feet over this. Is Mr Davis above the law, just because he is a long-standing and odious Conservative MP? According to the Conservative-cheerleading newspaper of choice, the Torygraph? Oh, well that makes it perfectly all right, then! Davis is one of the most loathsome and odious Nasty Party members – and there are an awful lot to choose from.